Comprising of strategically located Warehouse/Sales offices, together with a separate dedicated export sales office and warehouse, this network enables us to supply our entire extensive range of products the length and breadth of New Zealand, and overseas, quickly and efficiently. Our sales staff are well trained to cater to your every requirement from the simplest of orders through to highly technical assistance for all aspects applicable to Aluminium and Fastening, plus related products. Our inventory which is in excess of 7,000 product items, encompasses more than 12 product groups including: Automotive Sector, Building Commercial and Housing, Electrical Supply, Engineering and Manufacturing, Farming, Hotel, Accomodation and Catering Industries, Marine Industry, Plumbing and Roofing, Retail Merchandising, Security, Telecommunications and Transport. 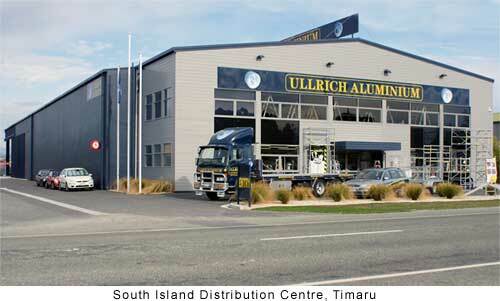 All Sales Centres run on the latest fully computerised inventory system networked together to optimise stock utilisation, and whilst each centre carries an extensive inventory they are also backed up by our National Aluminium Distribution Centre of 50,000 square feet in Hamilton, and Fastenings Distribution Centre of 20,000 square feet in Auckland.